The player wakes up on a remote island in the Pacific Ocean, with no recollection of who he is, or how he got there. He needs to find a way to survive. Real life survival methods will have to be employed, from setting traps (with what he can scavenge on the island) to making fire and finding a way to hydrate. This can be done indefinitely, but beware of what happens after dark and at random times during the day. The player will have to investigate his surroundings further, in order to gain more knowledge of the island, and maybe about how he got there. This game is intended to allow the player completely free roaming abilities. No instructions will be given (just like in a real life situation). The player has to find their own way, and figure out the story. Where they take it, it will be up to them. While walking across the wild parts of the island, you will have to find shelter and food/water. Food will consist of some of the default boids from the engine - wild chicken, tortoises. Also specific plants can be used to provide nutrition. The HUD will provide indication on the nutrition/water levels. It will also provide info on the stamina level (this will be directly tied to the nutrition/water levels). The stamina will also be tied into how much sleep you are getting. You will have to hunt for food, either by setting snare traps, or by finding a way to create a makeshift bow. Water will have to be boiled (so finding a recipient is essential for that - plenty trash get washed up on the beach from the mainland) in order that you do not get sick. This also implies making fire, as well as not letting the fire die out. Sickness symptoms of either uncooked food or water poisoning will include vomiting(with a dramatic drop in water level) and fainting(with a drop in stamina). The best procedure to navigate the terrain will be to hydrate and get a higher nutrition level to allow for more island exploring. When you wake up on the island, you do not have a map or any type of directions. In order to discover more of the island, and subsequently find the main town on the island (where more supplies will be, along with clues) you might have to move your camp. Exploring the island will give you the option to mark POI on your makeshift map (you never know what you can find in the trash on the beach). This way you can make it easier to find a water stream to collect water, or where boids would gather, for example. Of course, this is not to say that you can't just start making a run for it hoping you find the town. But having to navigate an unknown terrain, and with already a low stamina and nutrition/water level might end up in your death. And if you find the town, you have no guarantee that a can of food might be behind locked doors, or if you encounter any resistance in getting to it. You eventually will come across the town on the island. This is where you will find many of the clues relating to you being here, along with the dangers that might get in your way. Explore, explore, explore. You will have to avoid certain dangers, while taking others head on. The surrounding area of the town will be a typical northern hemisphere forest, filled with birches, aspens, and similar trees, along with different shrubs and bushes, and wild flowers. This will be a first person shooter / exploration game. All default movements that come with the engine will be available to navigate obstacles/terrain. The game will feature a full 24 hour cycle. When the player saves the game and leaves, they will pick it back up from the current spot. But, you have to make sure the character is in a safe spot, has a high enough level of stamina and nutrition/water levels to get him through. It is recommended to have the character go to sleep so that it does not expend stamina or nutrition/water as much. The player will be able to hunt for food / survival using fashioned weapons (bow, traps) or any weapons found while scavenging the town. This one describes the game a little more, and a bit of info about me. Hi all, after a bit longer delay than I was hoping, due in part to changing the engine to Unreal Engine, here is the first gameplay video in a line of others to come. Thanks Marc Fabriciuz for all the help, some awesome assets by Clinton Crumpler, torch by Nikola3D Skfb.ly and with Blender for the rest. Let me know what you guys think. P.S. 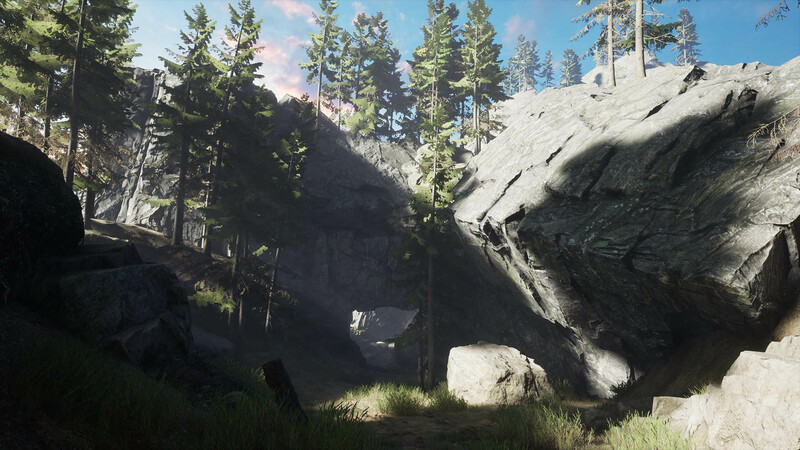 I will be doing a cleanup of the images as I am transitioning the environments to Unreal. Unfortunately I am still working on it, so hang in there. There will be a demo coming out, hopefully next year. It looks beatiful, I hope I can play it some day, keep the work up. Glad you like it baspatolivas! I will do my best!